Tyler Baxter hails from Chelsea, Michigan - located about 15 miles west of Ann Arbor. 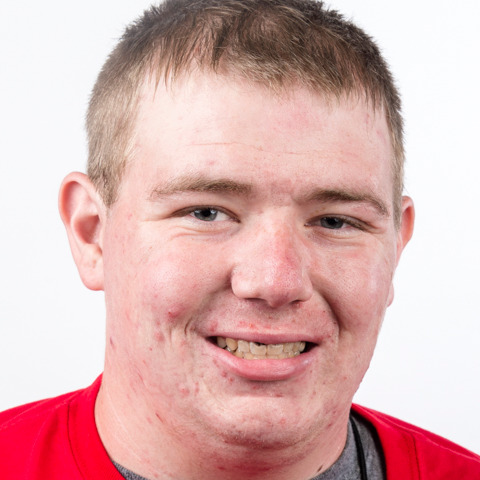 Tyler first got involved with Special Olympics in 2011 at age 16 and has competed in six sports with bowling being his favorite. Tyler bowls weekly, having picked up the game as a young child after family members encouraged him to try the sport. Today, he carries a 200 average and is one of the top bowlers in the state of Michigan. Tyler says Special Olympics has helped him get over "stage fright" and that he's now ready to perform on the World's biggest stage as a member of Special Olympics USA! Upon learning that he was selected to compete during Special Olympics World Games Abu Dhabi 2019, Tyler got a Special Olympics tattoo on his arm. He also learned how to write his name in Arabic and plans to add that to his arm tattoo in honor of the World Games.